The Chrysler 300 is a full-size sedan that treats passengers to rich interior comfort, luxurious style, and a smooth, quiet ride. Inside, these models are big on family-friendly passenger space. Recent used models deliver the infotainment features you crave. On the road, the used Chrysler 300’s iconic American style is easily recognizable. In addition to a swift performance, the 300 supplies high-tech driver aids and cutting-edge safety gear to keep you protected. When you’re shopping for a used Chrysler 300, tenth-generation models are a cut above the rest. Inside, they sport classic style and high-end luxury features. Handsome leather upholstery maximizes passenger comfort. In newer used models, you’ll find innovative comfort features, like heated and ventilated front seats. The 300 also speaks to your need for safety, earning top crash-test scores. Its high-tech driver aids actively monitor your surroundings and alert you to danger. On the road, the 300’s new unibody structure contributes to its smooth, controlled ride. Under the hood, a powerful Hemi engine supplies substantial power for a luxurious performance. When you choose all-wheel drive, you’ll enjoy especially sporty handling as well as maximum traction over icy pavement. 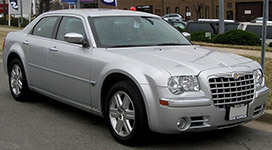 After a brief hiatus, the ninth-generation Chrysler 300 reappeared with modern powertrains and a renewed sense of luxury. These models introduced four-wheel antilock disc brakes for maximum stopping power. Inside, the 300 was decked out in leather. Power features, like windows and locks, saved passengers plenty of time in the long run. During this brief generation, the 300 became a mid-size luxury car. Its V8 engine spit out 195 horsepower – a striking change from the powerful engines of previous generations. This new 300 was even bigger than before. 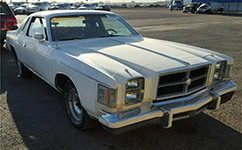 Shoppers could choose from the same engines and body styles as the previous generation – except for the 1971 model year, when the convertible disappeared from the lineup. In addition to a new grille and a restyled roof, the sixth-generation Chrysler 300 introduced powerful new engine options. 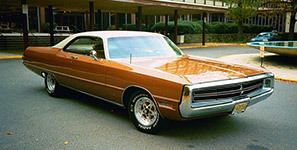 For this era, shoppers could once again choose between the two- and four-door hardtops, the convertible, and four-door sedan. These models offered a sleek, stylish appearance. Shoppers could choose from a number of body styles. 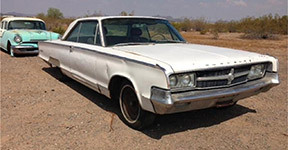 Beginning in 1966, the Chrysler 300 was available as a two-door hardtop, four-door hardtop, convertible, and four-door sedan. After some serious restyling, the fourth-generation reappeared with a completely new look. Shoppers could select a new two-door hardtop model. 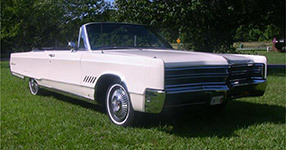 The convertible model didn’t reappear until the 1964 model year, however. Inside, this new 300 offered four bucket seats for snug on-road comfort. The center console ran the length of the cabin, so rear-seat passengers could also enjoy its benefits. Unique exterior flourishes, like the razor-thin tailfins, set it apart from other sedans of the era. 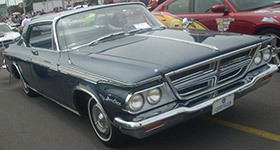 The second-generation Chrysler 300 was newly glamorous. 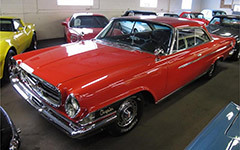 In 1957, Chrysler introduced a larger Hemi engine for a seriously powerful ride. The 300-C became the first convertible 300 model. 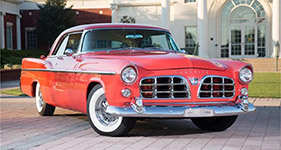 When the Chrysler 300 first hit the pavement, it attracted notice with its athletic exterior and speedy powertrain. In those days, the fact that it reached 130 mph was a cause of commotion.